Are you struggling to lift your head above water and looking for answers from the experts on how to get ahead and be successful? Are you achieving your growth goals and forecasting future growth or just struggling to make budget? How willing are you to make the necessary changes in your business to achieve your desired goals? A more efficient business means higher profits and lower stress. Are you prepared to invest in the right systems and processes so you can thrive in any market? If you can identify with the above questions and you are ready to make a change and work for success, then Why Winners Win is the perfect solution for you. Why Winners Win captures more than 30 years of experience to give you the strategies that you need to direct your efforts on a proven path to success. Not only will you discover the four fatal flaws that leaders face, but also learn how to avoid and overcome them. This book demonstrates how you can understand the important mix of attitude, knowledge and skill and how you can use this to point your compass in the right direction. You will be given the tools to set the right balance between goals and targets that are challenging and motivating without negatively impacting on performance through unrealistic and unattainable expectations. You will have all of the above to help you on your journey to success, and are provided with a 90-day plan with daily and weekly goals to keep you accountable to guarantee ongoing success. If you genuinely want to be successful in your business, read this book, but also apply your knowledge and drive the direction of the business and become a winner today! "If you're serious about your sales career, this book is for you. It's free of hype and full of practical, tried and true tips to help you also become a winner." "If you want to know why winners win, simply read this amazing book. On the other hand, if you want to be one of those winners, read the book and immediately begin to apply the knowledge and wisdom the author has so generously shared." 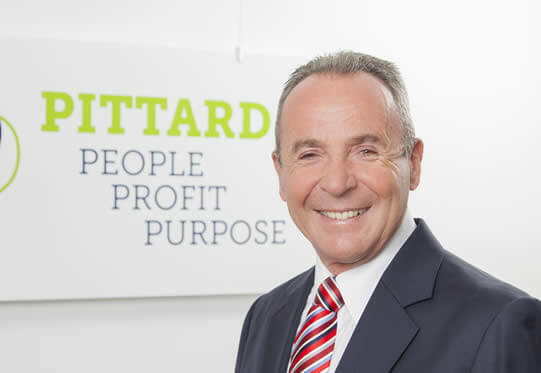 Gary Pittard is the Managing Director of Pittard – Australia's leading real estate training and development organisation. Pittard member agencies earn greater profits and experience greater levels of success than the average agent. With more than 30 years experience, working with the best sales and leadership minds in the world, Gary has developed an acute awareness of the subtleties of human communication and influence and the constant requirement for innovation and reinvention to stay relevant in rapidly changing markets. Gary has spoken to more than 10,000 people in his audiences, and coached and interviewed hundreds of winners in real estate and leadership. "Gary Pittard has been instrumental in my success in real estate. Every principal and leader should get a copy of this book for all their team members." "Gary Pittard is Australia's #1 expert in success in Real Estate. 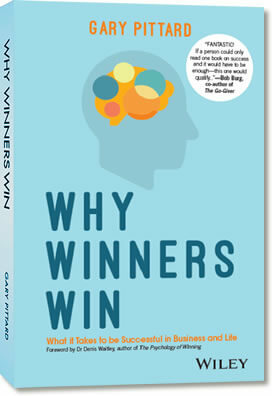 In Why Winners Win, Gary has combined 3 decades of experience, discipline and wisdom with contemporary thinking and practical, cutting edge strategies." "Gary is a rare individual. He is one of the 2% club: a special club of people who are actually getting things done, while other wonder what they should do next. His work has inspired successful people both inside and outside the real estate industry to achieve success both professionally and personal." Amount to be charged : $ AU Plus Postage & handling at Australia Post standard rates.